While a good deed may make your heart bubbly and healthy all day, a workout without checking on your skin may cause a breakout which may lead to a smooth and attractive skin developing acne or body fungus. No one wants their day darkened by a good deed. Here is some skin care routine that one may follow before and after hitting the gym or your fitness workout plan. Taking a shower before starting to exercise ensures that your skin is clean and thus the sweat which builds up during the exercise period is clean. This lessens the risk of developing acne as the pores on your skin will be open. The beauty of a lady may lie on how good she can combine the different make-ups all at a time. While at the gym or during your work out, rule number one is to remember to get rid of any excessive make ups on your face. Makeup looks good on your face, but it is harmful during an exercise as it clogs skin pores and this leads to skin breakouts and blackheads as well. If you are going to have an outdoor workout, where you will be subjected to the sun, it is recommended that you apply to your skin a generous amount of sunscreen. 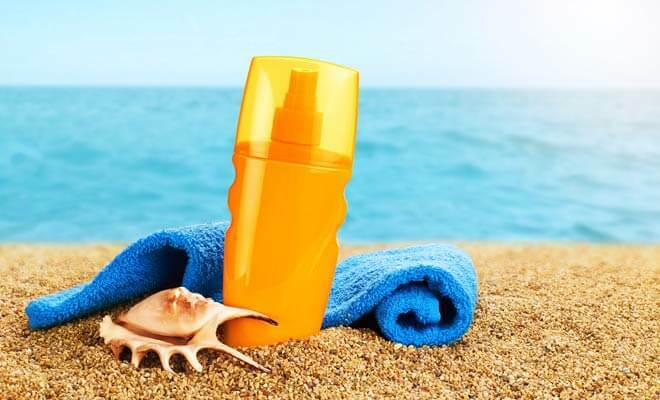 Sunscreen protects you from ultra-violet rays that cause premature aging and skin cancer. It is advisable to use a lotion that is lighter so that it is easily absorbs and ensures that you do not clog the skin pores. Steam aids in removal of impurities. It hydrates your skin and hair. It has a relaxing effect on ones muscles. All you will need to do is to step into the steam room and relax there for a few minutes after your workout and you will enjoy its benefits. Once you are done with a workout, the body is usually full of sweat and vigorous exercises makes one accumulate a lot of heat. This heat can be released by taking a long cold shower. The accumulated sweat is as well cleaned up and the pores are left open. While the cold shower releases heat, it relieves puffiness and redness as well. A lot of water is lost during workouts through sweating and this water can be replaced through drinking clean water after you exercise. Water has several benefits to our body and the most significant benefit of its role in skin care is moisturizing our skin. Exercising is a personal responsibility and as it helps you maintain the figure and keeps you in shape, it can as well be harmful to the human skin if you do not follow the skin care routine guidelines. A good workout is never good enough without a good skin care follow up.